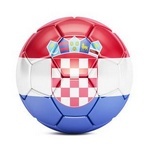 After a disappointing game against Slovenia B and a defeat of 1 difference, Croatia returned them in a match in Zagreb with a victory of 8 points difference. Of course, they had to win in both games with a lot more difference, but Croatian basketball players were a disappointment. Today, Croatia is looking forward to meeting with Lithuania in qualifying for the World Cup. Lithuania is in this meeting without Mačiulis, Sabonis, Valancicas, and Grigonis. Although they are in a very good position because they have all six wins so far, going to the Championship is not safe and their coach was dissatisfied with these players' missing. On the other hand, Croatia is in full squad, Anzulovic can again count on Bojan Bogdanović, Dario Šarić and Ivica Zubc. The new name is Ante Žižić (Cleveland Cavaliers), and Hrvoje Perić and Kruno Simon returned. There are not two who play the same in the USA (NBA), Mario Hezonja and Dragan Bender. I do not see him as (Hezonja) absent because he has not been in the team for a long time. It is unquestionable that with Šarić and Bogdanović we have individual quality, the problem for the biggest years is in the playmaker position. However, as I said, we expect our victory with a handicap and a celebration against Lithuania. I suggest a middle bet because a lot in Croatia depends on the individual quality and the mood of Bogdanovic and Šarić. The advantage is that the meeting is playing in Osijek, as I always expect a full and loud support.